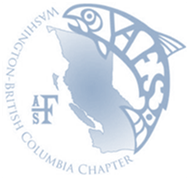 The Washington-British Columbia Chapter of the American Fisheries Society is currently inviting candidate statements for the position of Vice President on the Executive Committee. Ever think about developing and refining your leadership skills? Or maybe just giving a little back to an organization that does so much for students, professional development and natural resource conservation? Then now is a great time to get more involved and help the chapter chart the course into the future. The Vice-President position is a four-year progressive commitment, serving the first year as Vice-President, the second year as President-Elect, the third year as President, and the fourth year as Past-President. During this term of service the Chapter will provide the member an opportunity to represent the Chapter at both a Western Division and Society meeting. Upon completion of the presidential series members are awarded Life Membership to the American Fisheries Society. The election will run June 1 to June 15, and term will begin in concert with the Society officer transition (September). Further detail and a description of duties the position carries out can be found in our bylaws (http://wabc-afs.org/about-us/bylaws/). Feel free to contact current or recent officers to find out what their experience was like. Candidate statements are due by 5:00 pm Pacific time on Friday, May 13. Please email your nominations to Matt Klungle, past-president ([email protected]). Nominations should contain a brief written statement that includes the position you are nominating for, your background, why you want to serve on the Executive Committee, and what vision you have for the Chapter. These statements will be made available to the Chapter membership for use in voting. Please also include a photograph of yourself (jpg format) that can be used for the election. Contact Matt Klungle, Nominating Committee Chair, at the above email address if you have any questions.